"The goat sucker was a disappointment. " Nick once again comes across a Coyotl but this time it transforms into the Hispanic urban legend, the Chupacabra. This is not the first episode in which they have tackled a Hispanic urban legend: season two's La Llorona comes to mind. The Coyotl in its true nature already eats animals and people but apparently once it gets bitten by a mosquito it will hunger blood. This is somewhat repetitive to season one's Big Feet and season two's The Waking Dead. The one thing all of these episodes had in common was the factor that made the Wesen inside uncontrollable. While I enjoy the show's multi-culture episodes, I found this ending to resemble a scene straight out of a telenovela. Yet, the one thing that irked me more than the telenovela ending was the sequence of actions. There were so many things that could have avoided the end result. Blindness and aspects unnoticed resulted in this ending and it was hard to ignore as an audience. Then there is Wu's irrational breakdown but more of that later. Choosing to believe that in a Hispanic culture that believes in the Chupacabra, the Hispanic Wesen isn’t aware know about a disease that will turn them into the Chupacabra. Choosing to get sucked into that absurd idea, the actions followed can only be described to be blindness. This particular Coyotl who turns into a chupacabra is Diego Hoyos, a doctor who contracted a disease after getting bitten by a mosquito in Dominican Republic while helping sick residents. Now, it is natural to ignore a mosquito bite if it happened to them throughout the trip but that bite seriously agitated his skin and turned into a big bump with a red ring around it. How does a doctor not see, feel or ignore that? Even the wife who constantly held him didn't manage to catch that huge ball of infection. Through the camera, the audience was able to catch all of that so it’s not like it was being kept a secret. Still, their blindness allowed the infection to go on. Then after the first night Diego transforms into this deformed creature, he wakes up in a random place with blood all over his mouth, hands and shirt. Walking home he finds out his neighbor was killed and what does he do next? He goes to work. It might be normal for a Coyotl to kill but Diego is someone who goes to another country to help the less fortunate. It is safe to say that he isn't a killer but he brushes it off like waking up with blood all over is a common ritual. Still, off to work the little goat sucker goes and pondering what he did the night before. This doctor knows he isn't well and knows he got it in the D.R. but still acts like everything is just another day. His actions don't make sense and if he just accepted his condition a little earlier then maybe it would not have progressed. Lastly, there is the wife who contracts the sickness. 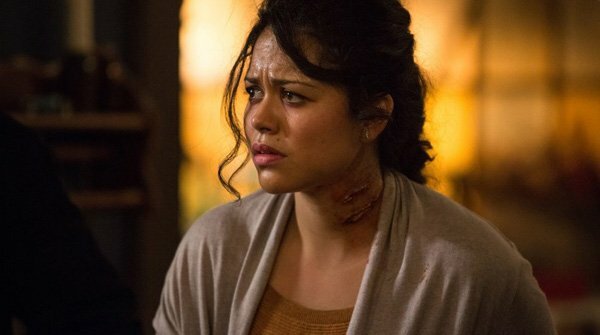 Of course, the audience doesn't learn the infection is contagious until after the wife contracted it but the huge cut on her neck goes unnoticed even after she turns. Rosalee having enough ingredients for only one dose was just a cherry on top of avoidable actions. I can understand that people have to die but the actions throughout the episode have to back up the death. Everything that happened in this episode did not back up the sacrifice Diego had to make to save his wife. I can accept that everything that led up to the ending was purposely meant to be unnoticed by the characters themselves but they can't go unnoticed by the audience. The plot of the whole story crumbles when one or two elements don’t make sense. The actions of Diego and everyone around him made a huge hole in this week's episode. To move on to Wu's breakdown. In a way that could have been avoided as well by telling him when he began suspecting and that would have saved all of this drama. That is not what happened and this is how he found out about Wesen. Funny thing is when Wu saw clear as day what Diego is, Nick runs and to tell him "he is Wesen." Poor choice of words since Wu has never heard of the word or what it means. Then his character goes bipolar. He steps into action to shoot Diego in his current Wesen state but then runs away like a scared coward when Diego turns back human form. Really, all of this could have been avoided if they have told Wu what's up. On a lighter side, the only scenes that brought out curiosity in this episode were Monroe’s kidnapping and Juliette turning into a Hexenbiest. But, all of that is left for the following episode. Final Thoughts • So much could have been avoided in the plot. • I couldn't ignore the problems that developed and it created a weak episode. • Death is natural in shows but what leads up to that death should make sense. The scenes leading up to Diego's death did not make sense. 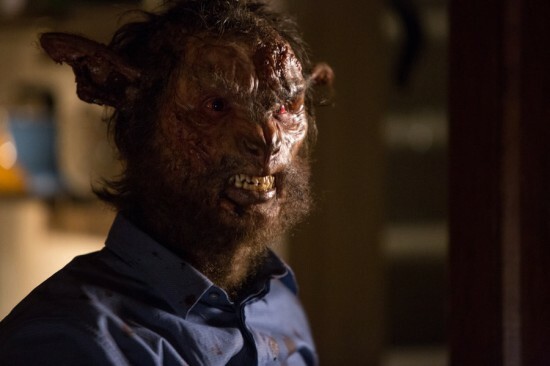 • I was left wondering if the disease has the same side effect in all Wesen or just Coyotl.